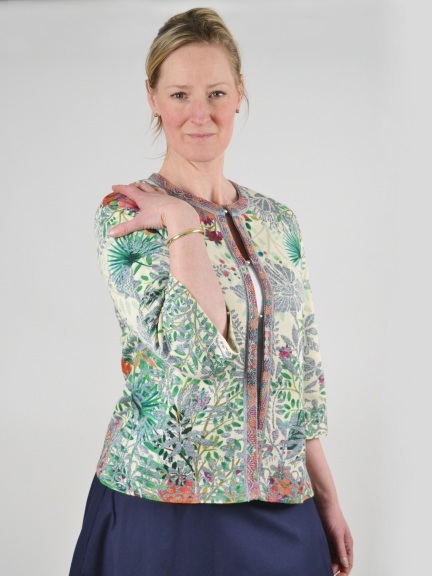 Perfect for spring, layer this lush, colorful Ivko jacket over a bright shell. 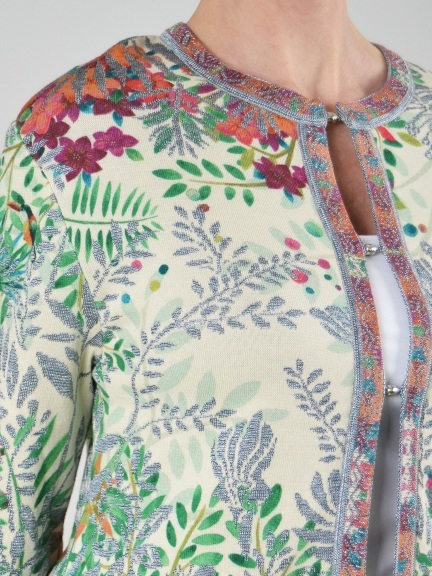 Relaxed, fitted cardigan jacket features a floral print with a contrast knitted jacquard motif. Three-quarter length bell sleeve, and round neckline with contrast trim. Metallic silver-tone magnetic closures at center front. Made in Serbia.